Doesn't Wavii logo look like Google? Yes it is! Wavii changed their logo as it is acquired by Google! Tech giants often take over innovative services which have bright future. Few days ago, Yahoo acquires Samli, a news service. Last year Microsoft purchased Skype. And just now Google have acquired Wavii. Google has purchased many services so far and improved them a lot. Many of which are quite profitable. Such as YouTube, Blogspot etc. And recently it takes over Wavii, which might be used to improve the search results. Google didn't publish any news about the price of the Wavii. But it is estimated that it costs Google about $30 million. Wavii has teamed up with Google! You probably know us best for our app that takes the deluge of information streaming across the web and condenses it into fast, fun updates. While we won't continue to offer this particular service, we'll be using our natural language research at Google in ways that may be useful to millions of people around the world. 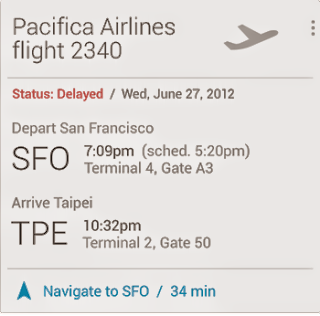 Now wait and see what Google do next with Wavii. How does it benefit people . . .
Is your Windows 32 bit or 64 bit? Right click on My Computer/ Computer Icon > Choose Properties > Then Look at the System Type > It could be either 32 bit (x86) or 64 (x64) bit. Or, Press Start + Pause to open Properties Window. Then check it. Or, Press Start + R > Type dxdiag > Look at the Operating System > System Name with bits will be available there. One of the basic differences between the 32-bit and the 64-bit version of Windows relate to the handle of primary memory or RAM. A 64-bit version of Windows operates RAM in a different way than a 32-bit Windows does. 32-bit Windows can't handle more than 4 GB RAM. But a 64-bit Windows can manage up to 128 GB RAM! A 64-bit version of Windows can process a larger volume of data compared to 32-bit version of Windows. A 64-bit version is more secured than 32-bit version of Windows. Most importantly, 64-bit version of Windows is great for multitasking! Factors to be Considered While Choosing System Type . . .
Do you work with heavier programs like Illustrator CS6, Video Editor or High Resolution Games? Do you have the 64-bit version device drivers for all of your devices? Are all of your necessary application software have 64-bit version or they compatible with 64-bit OS? Do you have more than 4 GB RAM installed on your PC? If the answers are yes to all the above questions, then you can easily install a 64-bit version of Windows on your PC. If you're confused then have a try. If you feel problem, then get back to the 32-bit version. (Even I don't use 64-bit OS yet due to the compatibility problems). Still Confused? Remove your Confusion . . .
A 32-bit OS will work fine with 64-bit processor. A 32-bit application will be compatible with 64-bit OS. But a program specifically compatible with 64-bit system will not run on 32-bit OS. A 16-bit application will not run on 64-bit OS. A device driver designed for 32-bit OS will not work with 64-bit OS and vice versa. 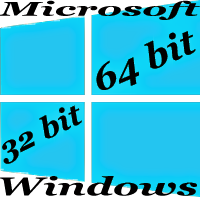 Hopefully, after reading this post, you have a good idea about the 32-bit and 64-bit Windows. If you're still confused you can comment below. But my suggestion is- have a try both the system. Definitely you will gain practical experience. The Chief Financial Officer (CFO), Peter Klein, is gonna leave Microsoft within next month. 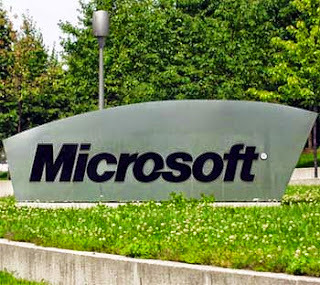 Microsoft CEO, Steve Ballmer, had said a new CFO will be named within few weeks from their Finance Leadership Team. Peter said he is willing to spend his time with the family after working for over the last 30 years. Peter Klein is an 11 year Microsoft Expert. And he is working as CFO for more than 3.5 years. He said this is a perfect time for him to resign from the Microsoft. Because the financial position of the organization is very strong at present. Klein contributed a lot in the acquisition of Skype and Yammer. He has also exhibited good oversight on Cost Controls as CFO. Microsoft's profit has been boosted by revenue earned from Windows, Office, Video Games etc. Earnings rose to $6 billion, or 72 cents per share, from $5.1 billion, or 60 cents per share, in the year-ago quarter. Revenue improved by 18 percent from $17.41 billion to $20.49 billion a year ago. But European Union has fined the company ($732 million) for breaking promises relating to expanding the choice of Internet browsers on Windows. One noteworthy characteristic of Finance is the regularity of its rhythm – month end, quarter end, year end. Every one of those milestones marks the passage of time. And as time passes, and milestones are marked, we all periodically reflect on our lives, our goals, and our priorities. As we approach the end of the fiscal year, I have been reflecting in that way. And I have decided that now is a good time for me to step away from Microsoft and take some time to spend with my family in a way that I haven't had the opportunity to do in the 30 years I have been working. This has not been an easy decision. I love Microsoft. I love my job. When I joined Microsoft 11 years ago I had this loosely held belief that people were one of the most important elements of any job or any company. I had no idea how profoundly true that is, but I do now. People are everything. Microsoft is the most amazing collection of talented, passionate and caring people I could ever imagine being associated with. It's been an honor and my good fortune to have been part of that. I am proud of the work that Finance has done and the impact we have had on the Company. One reason that now is a good time to leave is that the organization is very strong, and I am delighted we will be naming an internal candidate. I couldn't be more optimistic about both the Company's and Finance's future. I'm sure all of you have seen media coverage from the last two weeks. As I said in our earnings release, our long term bets on the cloud are paying off, and while the mobile device environment is challenging, the decisions we made with Windows 8 and Windows Phone 8 set us up well for long term growth. Highlights of our earnings are below. I encourage you to listen to our earnings webcast at 2:30 p.m. Pacific Time today at http://microsoft.com/investor. Analysts expressed their opinion as- Klein's resignation will not be good for Microsoft as the overall situation was satisfactory during his time. And if any reason, Steve Ballmer follows the path of Klein, then it will be a real trouble for Microsoft. Which one is the best browser- this debate is absolutely unnecessary now. Undoubtedly Google Chrome (or Chromium Browsers) is the best and most used internet browser right now. More than 50% net users are currently using Google Chrome. 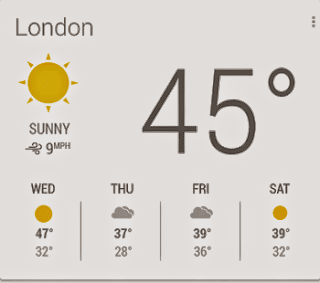 Few days ago I wrote about the problems of Google Chrome. And as an alternative to Google Chrome, I proposed the name of SRWare Iron. Today I'm gonna share a nice theme designed for Google Chrome. The theme I'm talking about is Chuck Anderson. In my eyes, this is the best one. It works with all Chromium Browsers- Google Chrome, SRWare Iron, CoolNovo etc. My personal opinion is that- Chrome and Chuck Anderson is made for each other! The style of Chrome is absolutely matched with Chuck Anderson. I've been using this theme just from the beginning. I search for other themes on Chrome Web Store, but none of them are as beautiful as Chuck Anderson. Compared to Firefox, Chrome has a very little space at the top. When more than 4 tabs are opened at a time, there is actually no space above the title bar. In this little space, this is very tough for any theme to decorate a browser. But Chuck Anderson have done this amazing job! Chuck Anderson has few color combination. Red, Green, Magenta, Blue etc. And there are some white spots maybe 7 or 8. The mixture of these elements, believe me, will give your browser an amazing look. And when you close or open tab, minimize or maximize the browser window, depending on the space at the top, the color will change automatically. If you think that I am giving too much credit to Chuck Anderson, then have a look at the image above. Hopefully this will give you a clear idea about the theme. Open Google Chrome or any other Chromium Browser. Or download it from here: Google Chrome, SRWare Iron. Now go to the Chrome Web Store- Theme Page. Or click on the Add to Chrome button. After visiting the page you will be able to see the details about Chuck Anderson. Click on the ADD TO CHROME button. If you're successful then you will see the button has been changes as ADDED TO CHROME. That's it. So far I know, restarting the browser is not necessary after adding this theme. But if it asks for, then restart it. And enjoy new theme. Chuck Anderson is being used by 4,37,893 people. You're not alone! Its rating is almost 4.6 out of 5 (1100 Votes). And definitely the number of users is increasing. Now you may think What is Chuck Anderson? Or who is Chuck Anderson? Doesn't it sound like a person's name? Yes it is! Hi! Start writing after three days. Because I was so busy last few days, and don't get enough time and idea to write about. Today I will talk about how to replace the traditional comment box of blogs or website with a beautiful disqus comment box. You might notice many websites or blogs (WordPress, Blogger, Tumbir) doesn't have any traditional comment box. They use comment luv or disqus. Coomment luv is better than disqus but you have to pay for it. But you're getting disqus for free without charge! So why don't try it? By the way if you don't like to add any third party comment box then please read the post: Full Tutorial on Blogger Comment Optimization. This will help you to understand how to optimize the traditional blogger comment option. After sign up, Go the dashboard. Now you have to add your site by giving its Name, URL and Shortname and then continue. Now you have to go to the Settings option to optimize the comment options. You can also use the tools option to import your existing comments into Disqus! Now you have to find the code. It should be like that- Get this for your site or something like that. Then you have to edit your site's template or code. If you are using blogger then please Backup your Blogger Template avoid any accident so that you can get your existing template back without losing something. For WordPress site the Disqus have a plugin. You have to just upload a file into your WordPress site. Then it will be automatically added. I have another surprise for you! By implementing DISQUS on your site, you can publish Ads too! Go to the Discovery under settings option. There you will find four options. If you choose any of the first three options other than Just Comments Ads will be place just below the comment box. Thus you can monetize your site too! Have you ever thought about the difference between a website and blog? Or do you know what they actually are? Few hours ago I was thinking about the difference between a blog and website. To be honest I had no clear idea about this issue. So I searched it on Google, visited 3/4 sites and got a clear idea. Now I am gonna share my knowledge with you. What is a blog actually? The contents of a blog are updated regularly. Posts are generally current and informative. Normally a blog is an informal way to communicate with the audience. It is interactive in nature. Visitors can express their opinion and communicate with the owners or other visitors. Anyone may have a blog whether it is an organization or individual. Blog is considered as Digital Magazine as the recent contents are shown at the top. A blog has a definite layout and shape. It is not as flexible as website. But you can easily change the design and layout just by using a different template! You don't need to be an expert to maintain a blog. Most of the famous organizations have their official blogs. Even Google, Microsoft, Twitter use blog to communicate with their consumers. As the contents of blogs are regularly updated with fresh topics, they can easily get higher rank in the search engines. An organization usually publishes new offers, news updates, notices for the customers through blog. An individual may also have a blog. A personal blog may be created by Bloggers, WordPress etc. Personal opinions, experience can be shared by these types of blogs. Normally a website is more versatile and flexible than a blog. Coding knowledge is crucial for developing a website. As it is coded by a trained developer, the website can be customized according to the requirements. Interactivity doesn't exits in a website usually. Because most of the websites excludes comment option. It is a formal way of communication about products and services. A website is a perfect way to present the organization in the web. Consumers can easily surf the site and get required information from it. Some companies also sale their products using their websites. Companies like Apple, Microsoft sell their products online. You know about online sales sites like Amazon.com, eBay etc. take orders from their customer by their websites. 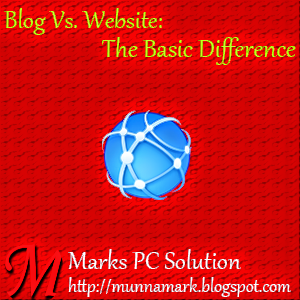 By this time you should know both blogs and websites have some advantages and disadvantages. As a result many websites are now developed including the features of a blog. Specially WordPress provides such an excellent facility. Many websites are now developed by WordPress due its high customization opportunities. WordPress let you easily customize the contents of the site. A website developed by WordPress has the advantages like a blog too!